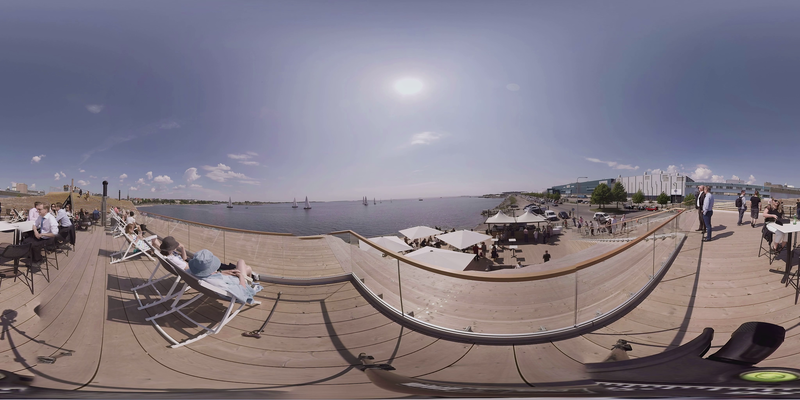 Together with Architecture photography company Kuvio we created a virtual video-tour over Helsinki’s most iconic sauna. As this iconic sauna was opened to the public in June 2016 we worked together with Architecture photography company Kuvio to capture the atmosphere of the sauna, both indoor and outdoor. Because of the outdoor setting, and beautiful surroundings 360-film is very well suited to capture such an object and bring in the atmosphere. We filmed on 20 different spots around the sauna, and with the help of the Tour Maker app – which is recording the GPS-coordinates of where we were filming – we were able to automatically build the tour based on the GPS-locations we filmed on. We were able to make an interactive video tour of the building, which is easily navigated by gazing.